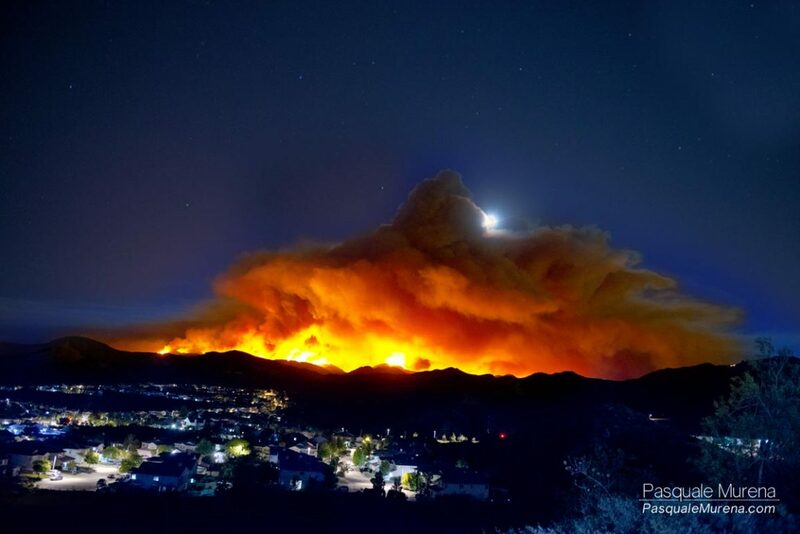 Growing up in Southern California my entire life I have had many close calls with wildfires, I remember a wildfire stopping just 4 blocks away from my house as a child. Wildfires can be a scary visual and a great reminder how Mother Nature is in more control than us. Recently the Sand Fire has been burning the last few days in Southern California and I went out to photograph is at night. You can see the stars above the cloud of smoke that is lit by the fire and the moon breaking through the edge of the cloud but more importantly the homes in danger of the wildfire. An amazing sight to see but an even greater reminder of all the homes and live’s that have and will be lost. God bless our firefighters and others working to stop this fire or help those in need.